Our kids need to play. Our children are experiencing a decline in play and an increase in mental health issues. As distractions and responsibilities increase, kids become further alienated from their bodies and their emotions. We can help kids reconnect with their feelings through play. 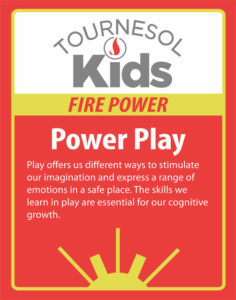 One of the activities in the Tournesol Kids Game called Power Play guides children through the different possibilities of play.